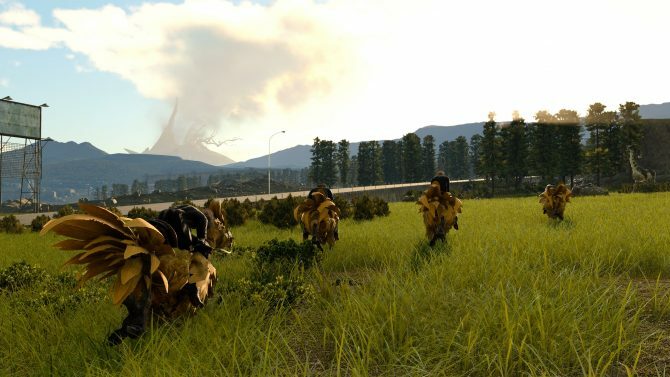 Final Fantasy XV Director Hajime Tabata talks all things Final Fantasy XV, from platforms to technology, development and more. 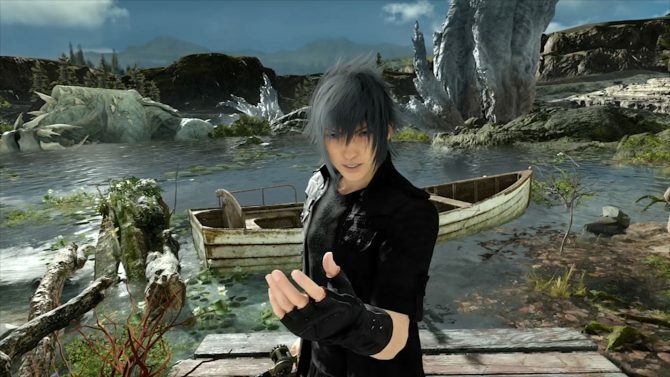 Final Fantasy XV has been expanding incrementally both as a game and as a multimedia project, taking on new platforms and new avenues of connecting with fans and newcomers alike. In order to get an idea of what is coming next, DualShockers had a long chat with Director Hajme Tabata (with some additional insight by Lead Game Designer Takayuki Kanbayashi), who gave us view across the board on where the Final Fantasy XV project is now, where it might be down the line, and even a glimpse on what the team has sets its sight on beyond the massive JRPG. If you’re curious to learn what Tabata-san told us, read on. J: …if a Switch version is coming, is it going to be similar to the PS4 and Xbox One versions, or are we looking at the pocket version? Hajime Tabata: Nothing has been really decided yet. We are in the phase where we are testing out what capacity and what specs we can do for Switch. We tried testing the Luminous Engine on the Switch platform and we did a test and we figured out, at this point and time, we can’t bring out the most of our engine on the platform. We kind of stopped there for the time being, but we are still looking into the platform and seeing what we can do on it. That’s not to talk negatively about the Switch or anything. We didn’t do any optimization with the Luminous Engine, we just kind of brought it in to see what it could do. But we also tested a couple of things on Unity and Unreal 4 and we know those ran well on the Switch. So we’re kind of at the point where we understand the technical specifications for the Switch and we will be continuously looking at what we can do for the platform. And just like with the Windows Edition and the Pocket Edition, if we are going to do something on Switch, we want to make sure that we are capitalizing on that platform’s characteristics to bring out the most of it. So whether it’s the art style or the graphics we want to make sure we are designing it specifically for that platform. So when the time comes to start developing something on Switch, we are going to make sure we are prioritizing bringing out the most on that platform. J: What we saw of both the Windows and the Xbox One X versions looked really impressive. How do the two versions compare in terms of graphics and detail? HT: As for the technical specifications, the Windows version runs in native 4K. The Xbox One X runs natively in 3K and is upscaled to 4K via checkerboarding, so there’s a slight difference there. And the checkerboard 4K that we are doing for the Xbox One X is also the same thing we did for PlayStation 4 Pro. What’s unique for the Windows edition is all the NVIDIA Gameworks technologies, all the physics simulations that they’re offering and we’ve embedded into the Luminous Engine. That’s something we don’t have on the console versions. On top of that, there’s is sound. The Windows edition also supports Windows Sonic, which is a proprietary Windows 10 sound protocol. You might have heard of Dolby Atmos? That’s supported by Windows Sonic, therefore the Windows Edition is kind of supporting Dolby Atmos. It’s a 3D sound output technology. It is the first time we are working with it as well. J: The character creation for the Beta of the Comrades expansion was more impressive than we imagined. Is there any possibility it will be available in single player? HT: The avatar creation system in the multiplayer expansion–we don’t have any plans to bring that into the main game of the single player campaign. But we do have that same avatar creation system in the VR title, Monster of the Deep. To some extent we may incorporate some of that avatar creation in the Windows edition. J: How will it be incorporated on Windows? HT: It’s probably going to be incorporated to the extent that we are going to be supporting mods. J: Can you explain that decusion? Why would you not bring it over to single player? HT: I think – simply put – it’s because the story is about the four protagonists, so from that standpoint it doesn’t make sense to put in a different character in there. 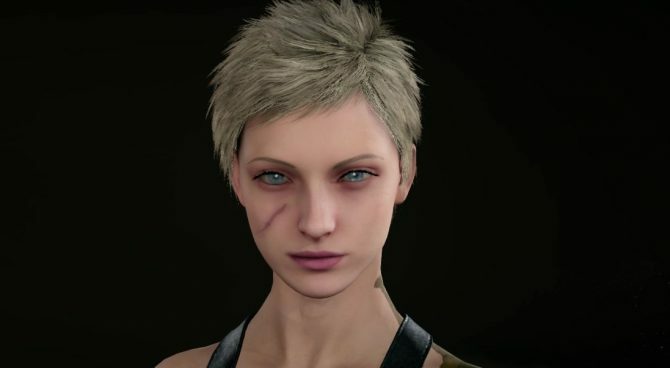 J: The character-specific DLC like Episode Gladiolus and Prompto are played seperately, but there have been many who would like to see them integrated into the main game. Are there any plans to update them so that you can play the game in a single, connected narrative? HT: There aren’t any plans to incorporate the character episode DLC into the main story. The main story that we released last year is what we consider the “main story” of Final Fantasy XV. The episode DLC are supplementary experiences for that. Going back into your question about incorporating it into the main story, do you mean at some point of the story you play as Gladio and then you play as what Epsidode Gladiolus was and then you continue onto the story? Do you know in whichway the fans would like to see it? J: What I mean is having them played as part of the story, as their own chapters. HT: In terms of that, there aren’t any plans to make them their own Chapter in the main story. J: Aranea Highwind is becoming a fan-favorite and as far as her presence in Epsiode Prompto, it was very well received. Has there been any consideration to content that is specific to her? HT: Back in Spring, we did a user survey and we got a sense of which character fans would want to see in a DLC expansion of the story. Our standpoint right now is while we can’t possibly do all of them, but we definitely want to to look into the possibility of character DLCs for those that were most requested. That’s all we can really say at the moment. Part of the reason why we are here at PAX after we did a bunch of announcements at Gamescom two weeks ago, is that we wanted to see what feedback is directly from the fans. During our stay we have a community gathering planned. We actually did one in Cologne as well — we just want to get a sense of what fans are asking for and what features they are looking forward to most. And then using that, on top of the survey results from last Spring, we’s like to see what it is we should really be looking at. J: Could you share any of those results so far — what have you heard from the fans? HT: At least in the community gathering event we had in Cologne, people want to see more backstory on Ardin. Luna was another one they wanted to see more on. We did hear some calls for Aranea as well. 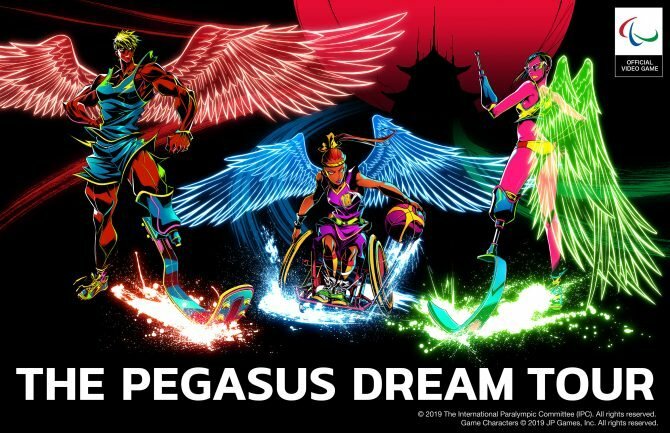 Within the specific requests for characters that people expressed, overall the feeling we got was that the fans want to see more of the parts of the story they didn’t see in the main campaign. J: The Assassin’s Festival was a bit of a surprise. How the game adopted the gameplay elements of Assassin’s Creed was really cool. How did this idea come about, and are there any more of these crossovers planned? HT: About the Assassin’s Festival, what’s special about it is we worked directly with their development team. We had a close collaboration between companies making it come to life. The mutual respect that the dev teams have for each other allowed this level of collaboration to actually happen. It’s something we wanted our fans to appreciate and enjoy, and Assassin’s Creed fans to appreciate and enjoy as well. I think we’ve at least been able to achieve that. There is nothing else planned in terms of collaborations or crossovers, but if it’s something like this where we can really work together and really do something beneficial for both sides, it’s something we definitely want to look into. When we announced the collaboration at Gamescom, we did it at a small fan gathering at the Ubisoft booth, right in front of their fans. We were just kind of there as outsiders coming in and we were like “Well, there is something we want to show you guys today!” and we showed the trailer and revealed the collaboration. At first it was kind of shocking, as they didn’t know what was going on, but when they understood it they were really on-board and started asking a lot of questions. Once we opened up the floor to questions, we noticed there were a few fans from Final Fantasy XV, so there is at least some crossover in terms of the demographic. So I think it worked out really well. J: Have you played any Assassin’s Creed games? HT: I’ve actually played a lot of the series because I like it. It’s part of the reason I wanted the collaboration in the first place. At the fan gathering where we announced the festival, we had Ashraf [Ismail], the Director of Assassin’s Creed Origins and Assassin’s Creed IV: Black Flag. Fans asked which Assassin’s Creed I liked best. Without knowing he was the director for IV, I was like “I like Assassin’s Creed II, Assassin’s Creed: Syndicate...” and he was like “What about mine?” It was a funny joke. J: –are there any significant additions or subtractions from the original Final Fantasy XV story? Would you suggest it to someone who hasn’t played the original Final Fantasy XV? HT: The way that we look at Pocket Edition is it’s actually geared towards people who have never played the original on consoles. It’s the same experience, just at a faster tempo, quick play sessions, but it’s exactly the same experience you would get on console versions. There’s nothing actually added or subtracted from the main experience on Final Fantasy XV. Obviously the DLC components are not included in the Pocket Edition, but the main storyline is directly translated in the experience for the Pocket Edition. J: The art style looks very different. Has there been a change of tone between the two games? HT: I think the art style does come with a little bit of a different tone than the console version, but the way we look at it the console version — when you look at the cutscenes and you look at the experience — is something you spend a lot of time in and invest yourself in that unfolding story. The Pocket Edition is a lot lighter in terms of the experience. It’s a lot faster–not more casual, I would say, because of the dramatic story. But it’s a lot more on the go and easier to consume. So, if you think of a Disney movie — it’s like the difference between an animated Disney movie and a live action version of a Disney movie — it’s kind of that tone. J: With all the pieces of the Final Fantasy XV universe coming to life, it feels like a sampling of where we can expect Square Enix to be going. We have home console, mobile, film, anime. Do you feel there are yet-to-be-tapped markets for Square Enix to be going into? HT: Musical. [Laughs] That’s one we haven’t tapped into yet. J: Do you foresee that happening? HT: [Laughs] Not at all. I mean, it’s not something that we have our sights set on, or something like that. It’s just the first thing that came to mind when you asked if there was something we haven’t done yet. But personally, as a form of entertainment, Cirque du Soleil is amazing in terms of what it does and how big it is so from a creator’s standpoint. It is something we look up to and admire. And maybe– I don’t know, we’ll see. J: There are some that feel that stretching Final Fantasy XV across all these markets may be diluting the core experience. What would you say to people who have that concern? HT: It’s actually a very important point to bring up. [Laughs] From a strategy point, there is actually two lines of thinking for us. 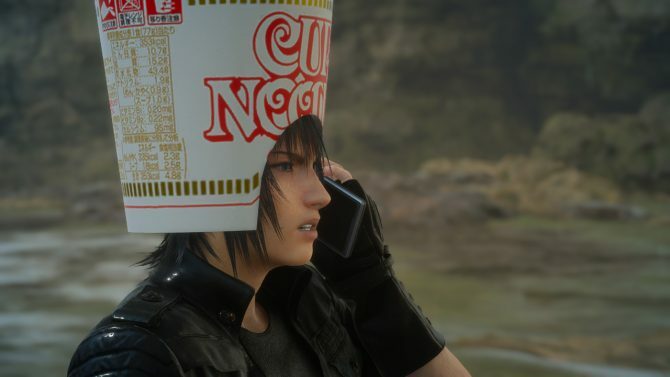 One is how we direct our messaging to players who did play Final Fantasy XV and are continuing to follow everything we’re doing. And another line of messaging to everyone who has yet to tap into Final Fantasy XV and the different things we are doing. So we have two different strategies in mind. To people who have been following Final Fantasy XV, it may just look like we are spreading out and, like you said, the main experience is being diluted. That we understand, and we see that kind of impression., so we know that’s up to us to determine and make a clear statement to existing fans, and make sure that we have a plan for people who have been following Final Fantasy XV. We also need a clear message for people who have yet to get involved or invested in Final Fantasy XV experience, and the reason for doing all the outside media expansionary projects. So we know that it is something we need to make clear in the near future. J: Do you feel that the Final Fantasy XV universe content expansion is a trend that we will see in future Final Fantasy titles? HT: It’s hard to say, to speak on behalf of other or future Final Fantasy titles. Every team operates differently and every numbered Final Fantasy has its own goals and its own objectives. It just so happens that for Final Fantasy XV this is the way we wanted to do it, creating as many points of entry for Final Fantasy XV as possible. So that is just something that we decided to do, from our team’s standpoint. It’s not something we can say on behalf of future Final Fantasy games, but at least for our teams’ next project, this is something we want to use as a framework and build on what we did for Final Fantasy XV. J: There are a lot of gamers who are approaching Final Fantasy XV as their first Final Fantasy. Was there any consideration towards that? 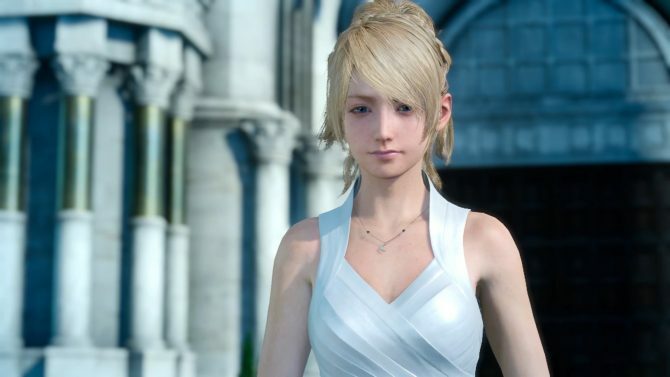 Was that something that was decided early on in development of Final Fantasy XV? Takayuki Kanbayashi: We did think there may be opportunities for new Final Fantasy players to come into this title, so one of the things I was working on was the monster design. One of the things I made sure as a point of emphasis was introducing all the traditional Final Fantasy monsters–explaining and introducing them to newcomers, but also including classic monsters and remaking them and restyle them a little bit, so existing fans could appreciate and see something a little different. That’s something we definitely had in mind from the development standpoint. HT: From the start, we knew in our minds that we wanted to design a game that was accessible to newcomers — new Final Fantasy fans — but also keeping in mind that there are going to be people who have followed this series for all these years. We want to make sure we have a Final Fantasy for them as well. So it was something the dev team had in mind from the very get-go. I think we have been a little greedy in terms of how we wanted to please everyone [laughs]; it’s probably rare, but it’s something that we set as a mission for this game. There is a message in the very beginning of the game that says “For first timers and Final Fantasy fans alike.” That was at first a message that I said to the team. “This is our mission.” And from then on we decided to put it into the game so it was a message that was clear to the people that popped it into the system and loaded it up as well. It was kind of a mantra for the dev team, so to speak. J: You said, “the real selling point to Final Fantasy XV is the beautiful world and sense of immersion in that world. The quality of the graphics and those kind of expression in the environment directly links to that appeal of the game.” You are now bringing Final Fantasy XV to PC. 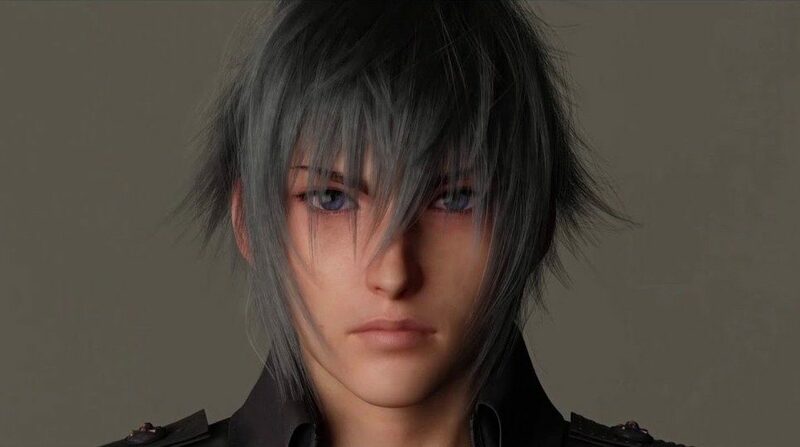 Is this a new audience you want to reach, or did you approach this project with the thought of making a definitive Final Fantasy XV experience? 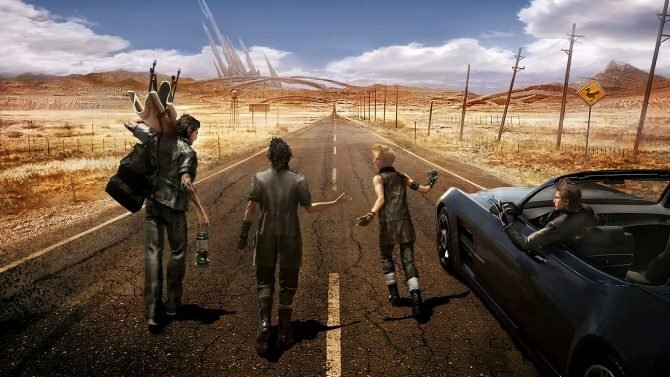 HT: From our standpoint, the main part of Final Fantasy XV is the bond between the four guys and their story and their roadtrip — their adventure. The world and the setting that we created around them is there to elevate that story and to bring a more immersive experience towards that. For the Windows edition, from a technological standpoint, we’re able to raise the graphic level a notch higher. And as a result, we think that the overall experience of that story is going to be at a higher level and something fans are going to want to immerse themselves in even more. At least from the technical standpoint of the PC version, that’s one thing we think we can achieve because of the higher specs and the graphical improvements. As for future projects with our team, we are looking at the next generation and not the current generation of consoles and systems. The Windows edition is kind of where we’re at right now and those are the technological achievements we’ve reached right now with the in-house development. Yet, our sights are set to the future where we can go even higher. J: So are you saying that you are using the Windows edition as a template for the next generation? J: Regarding the Final Fantasy XV Pocket Edition, is there going to be any connectivity between Final Fantasy XV on console or PC? HT: No. One of the reasons for that is because if we include some sort of interconnectivity, we feel like we create a situation where fans feel like they need to experience every aspect of it. We want to make sure they are separate in terms of the experience, so that players can choose which one they want to consume. J: Is there anything about the Pocket Edition of Final Fantasy, that you feel is better achieved than in the original Final Fantasy XV? HT: There probably is one clear thing that the Pocket Edition can do that the console edition couldn’t do: the minute the Pocket Edition releases, it reaches a far larger audience than the console edition ever can. We designed the Pocket Edition from the ground up to be optimized and take advantage of mobile platforms, so it’s something you can pick up in your free time and play for a little bit. Everything is touch based, so the same core experience and the same feeling that you got from the console version is at your fingertips with the Pocket Edition. We’re not reducing any of the elements from the main experience, and that same core gameplay is still intact. It’s just in a different format optimized for this particular market. 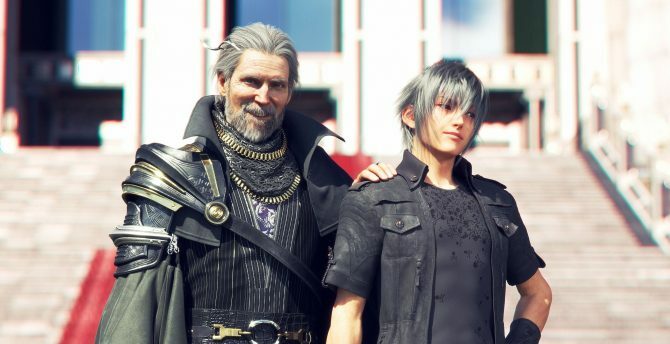 It’s not something we feel is reduced from the main experience, but it allows many many players to see what Final Fantasy XV is about in a more lightweight package. During our experience developing the Pocket Edition we’ve learned a lot of things from it. How do we take an experience where you are sitting in front of a TV, playing for hours, and bring that to something that is a little more on the go and manageable and right at your fingertips? It’s not something that we minimized for the Pocket Edition, but we took the main components and brought out the more essential parts for it. It is something moving forward we are going to continue learning more about, but basically it’s the equivalent of sitting in front of a TV and playing a console game. Bringing that same experience in this format is something that we really learned from. J: Switching gears to the VR experience, Monster of the Deep: Final Fantasy XV is going to be releasing very soon. It seems like the core of the experience is gameplay, but can players expect to find more Final Fantasy XV story in that game? HT: Monster of the Deep is supposed to be a standalone experience, so there is nothing in that story that adds on – or you get more from – the main Final Fantasy XV story. But the storyline in Monster of the Deep, if you just do the single player main campaign — it’s probably about a six-hour gameplay. 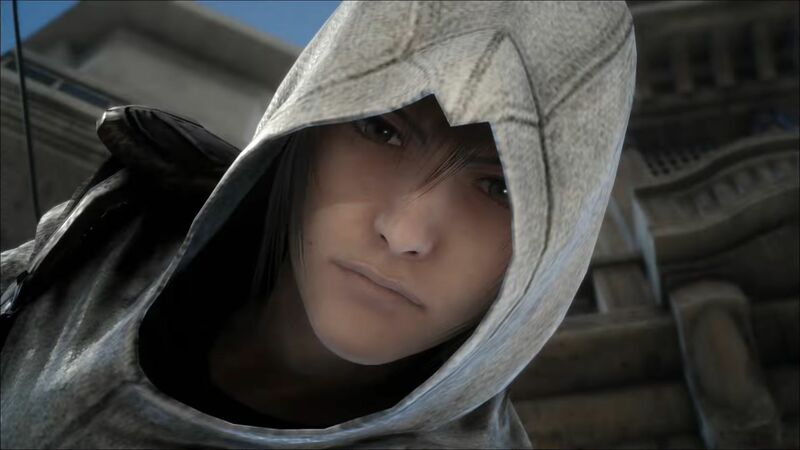 You take the role of a hunter looking for a particular monster, but along the way you meet Noctis and the gang and talk to them and communicate with them. So, it’s a story in its own right — a side story from the main Final Fantasy XV experience. J: We actually saw a shooting VR experience focused on Prompto. What caused the change of plans that resulted in Monster of the Deep? Is that project still in development or does it still exist in any form? HT: We spent something like three weeks on the Prompto VR project. That experience taught us that if we want to bring the core battle mechanics of Final Fantasy XV into a VR game, it’s not an easy task at all. It’s an undertaking that is quite a beast. The Prompto demo, from the short period of time that we developed that for E3 last year, helped us realize that — because VR is a platfrom still in its early years and obviously our experience with VR development is not quite there yet. To take something that brings that core Final Fantasy XV experience into VR is still a little bit ahead of where we’re at. It’s not something we could easily do; not something that we can be satisfied with putting out into the world. From that experience we looked at “What can we do with the VR platform in the current day, with our current experience and know-how?” After figuring it out internally, Monster of the Deep was what we came up with as an answer. This is what we can do for VR. It brings some of that feeling and familiarity from Final Fantasy XV but in its own experience. But from that experience, we definitely have another project in mind for VR. J: I understand the standpoint where you are in development, and why you would make that change, but was there any more specific reason that made you chose fishing? HT: From the moment we realized we can’t bring that three-dimensional battle system to a VR experience, we shifted our focus to how to let the fans enjoy the beautiful world and landscape that we created for Final Fantasy XV. We also wanted them to meet the characters up close and interact with them. From the perspective of working with the PS Move controllers, it was really intuitive — the fishing mechanics and the motions — so that’s another reason we thought it was a good fit for this platform. Working on Monster of the Deep, there is a couple of things we’ve learned from that experience. First of all, you’re connected via cable so that alone restricts your ability to move a full 360 degrees. Also, the headset itself is still pretty heavy, so we know from a development standpoint that it’s hard to ask players to be wearing it and immerse themselves in the game for long periods of time. We think that when the VR platform goes into second generation and third generation — once the wires are gone and the helmets are a lot lighter, more mobile — it’s going to open up a lot of more possibilities in the future in terms of what we can achieve on the platform. J: Do you have any ideas for what that may be in the future? HT: There is no concrete idea in mind, but there are many possibilities that the team thinks about. Just being able to dive into a virtual world and be with other players… That is going to open up doors about different possibilities and different genres. While we don’t have a particular idea about “This is what we are going to do when the VR platform gets to this level” it’s something that we are constantly thinking about and talking about in terms of possibilities. We don’t have a particular idea in mind for now now, but it is obviously going to be something that has a bit of everything in the future. Square Enix is continuing to update Final Fantasy XV for both PS4 and Xbox One. They recently released the Assassin?s Festival crossover event, and patch 1.15. On the DLC front, Episode Ignis is scheduled for release in December. Final Fantasy XV is currently available for PS4 and Xbox One, while the Windows Edition will launch on PC via Steam in early 2018. The Pocket Edition will actually come earlier, and it will release this fall for iOS, Android and Windows 10.